Brett Ausley is a young cattleman producing and marketing Wagyu beef on his family ranch in Hot Spring County. 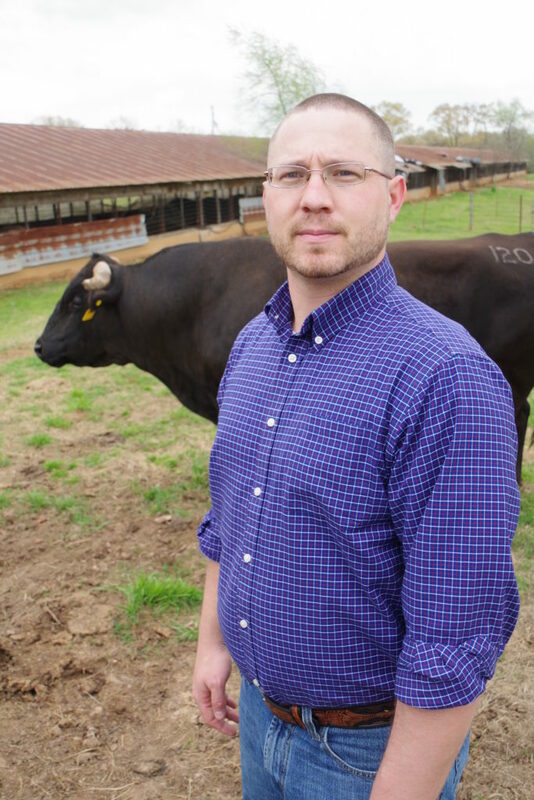 He got into Wagyu about five years ago and he’s selling it directly to consumers through social media and to local restaurants. Q: Brett, when did you first start raising cattle here on your ranch near Bismarck? 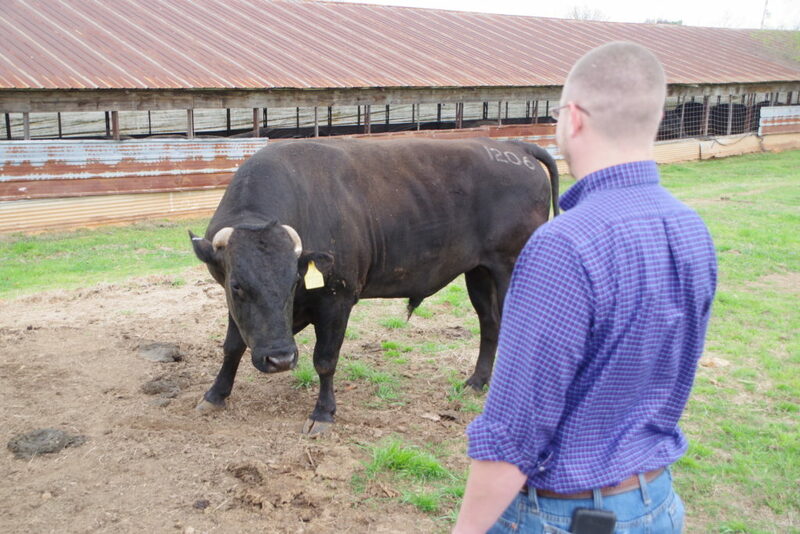 A: I started learning to raise cattle with my grandfather as a young boy. We had a small herd, only 20 or 30 head. 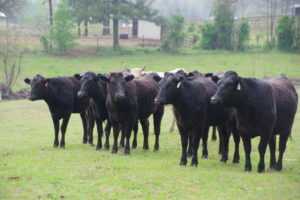 Primarily registered angus, show steers and heifers. We purchased this ranch 5 years ago. It’s about 560 acres. It provided us room for expansion. Cattle prices were higher 5 years ago and we were able to increase the number of heifers for breeding. Q: What led you to begin producing Wagyu beef? A: When my grandpa first mentioned it to me we were raising registered angus at the time. When I saw the first Wagyu bull that I ever looked at I thought he was just crazy as all get out. They’re not the prettiest cattle in the world, but the more research we got to doing into it, the more we got to researching genetics, we just realized it was something that could pretty much complement our custom beef operation. 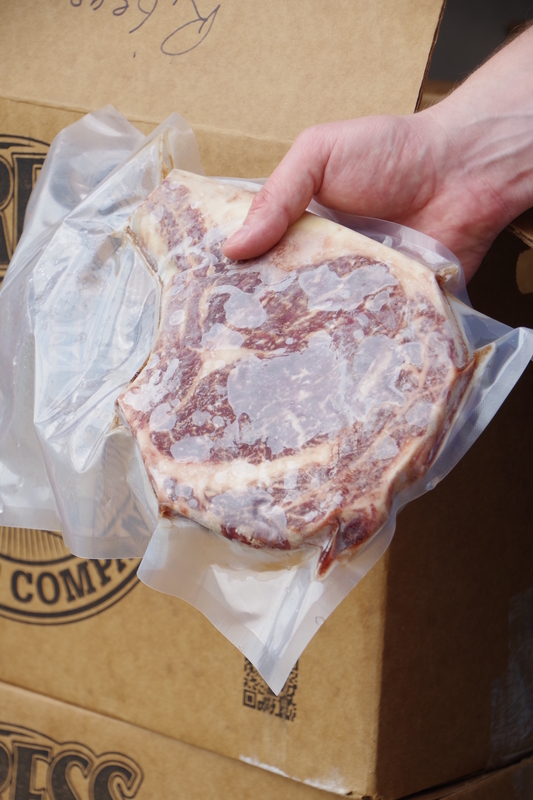 With the Wagyu we saw an opportunity to increase the quality of our product and suit more what our customer’s needs were and potentially expand our consumer base. 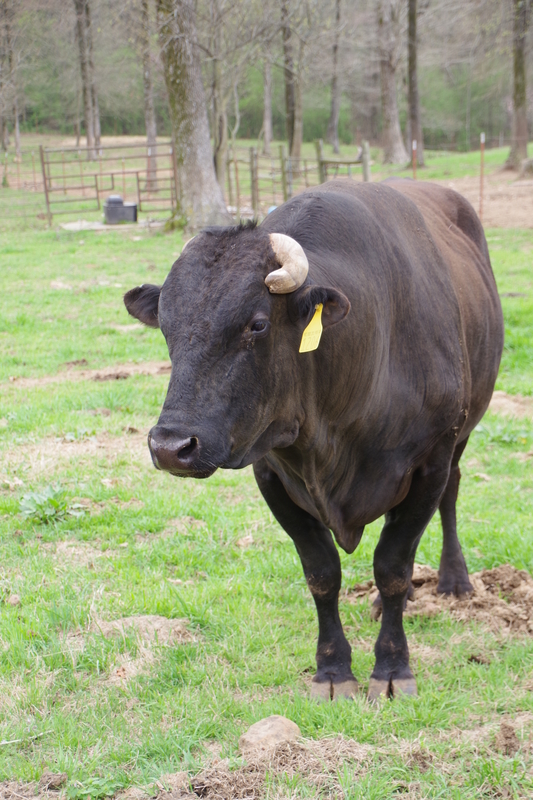 Q: When did you begin breeding your angus cows to Wagyu bulls? A: When we bought this place we bought our first bull out of New Mexico and bred a whole calf crop to him. It just kind of went from there. Now we’re up to 7 Wagyu bulls. They are considerably more expensive. Finding the genetics in the U.S. is doable, but is still kind of sporadic. I wouldn’t call them a hobby, I think there is a demand and a market for Wagyu beef. 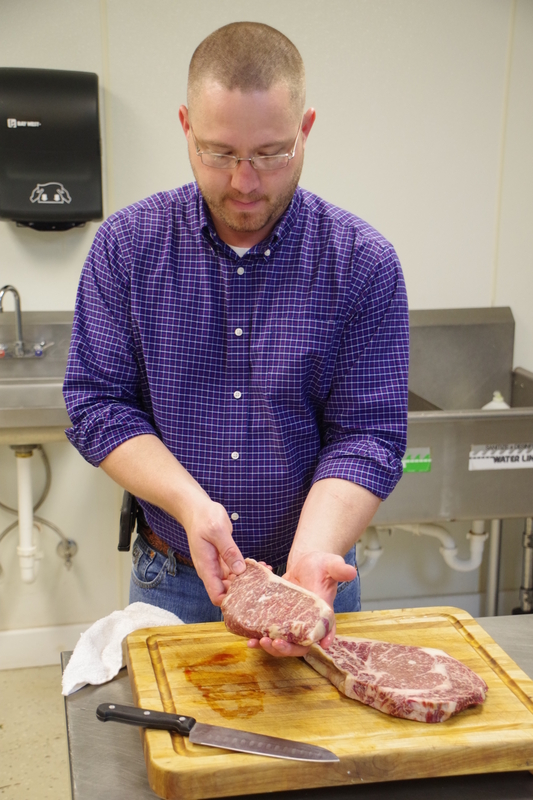 Q: What are the benefits of Wagyu beef and why are consumers willing to pay more for it? A: Our calves have graded out 2-3 grades above prime. Every calf I have processed has graded at prime or above. Our cuts are higher in mono- unsaturated fats, and good cholesterol. So it’s actually a good cholesterol vs. bad cholesterol. 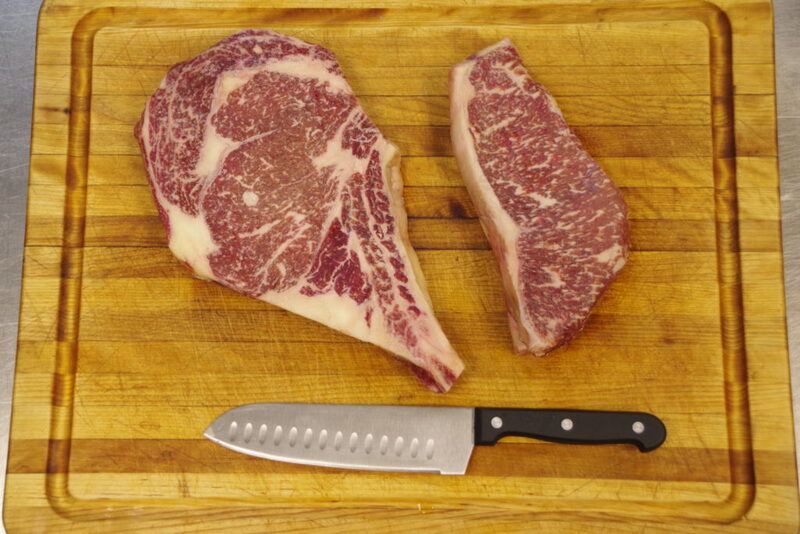 You’re getting good healthy beef with the flavor and the texture of prime beef. That’s what we’ve seen as a growing market for us. Q: I know Wagyu has it’s origins and is very popular in Japan. What else is distinctive about this premium beef? A: It’s a totally different palate experience. Not something you’re going to eat every day. It’s got a very rich, buttery flavor and texture to it that honestly six ounces is plenty. Where I prefer our market to be is in the middle. We’re providing that palatability from the American standpoint with the texture and flavor of the Wagyu. I’m trying to develop a market in between that is still affordable and palatable to American consumers. Q: Who are your customers and how are you marketing your beef? A: We’ve got a couple of restaurants that are buying it. mainly we do a lot of direct to consumer sales through our website and Facebook page. I’m still working on figuring out the shipping. We’re just shipping to customers in the state of Arkansas right now. I just delivered 80 pounds of product to a new restaurant near Hot Springs Village. They’re going through about 60 pounds of ground beef and about 10 pounds of sirloin a week right now. For a new restaurant that’s still growing I thought that was pretty good. Their Wagyu beef sliders are their number one seller and our sirloin kabobs or skewers are their number 4 product. Q: What satisfaction do you get from raising beef cattle and this way of life? A: I would say the gratification is getting to pass on the experience that we enjoy. I mean we love having people out to the farm. We’ve kind of started a program where if a family wants to purchase a steer at weaning time and wants us to feed it out throughout the course of its lifetime, until they’re ready to process it, they’re more than welcome to come out, see the calf, show their kids and introduce them to what American agriculture is all about in person. That has been the biggest thing in my mind is trying to take that experience that we have here and educate the public about it. Because like I tell most people, if we didn’t love it we wouldn’t be doing it. To learn more about Ausley, check out our video and podcast interviews.